My garden is growing by leaps and bounds and starting to produce. I thought I would tell you a little bit about how I choose to prep, plant and care for my garden! We started back in the middle of March getting the soil prepped and ready. Eldon has a tiller he can pull behind the tractor and that takes the hard work out of turning the soil. Then I plot it all out on paper and figure out where I want everything to go. I try to rotate the vegetables around each year. I have a trick that I use for weed control. Here it is. After I form my rows, but before I plant, I purchase a roll of "end roll" paper from our local newspaper office. (It is what is left on the end of the roll after printing. It has no ink on it and is just simply paper. And it is very cheap. This 30# roll was $6.00.) I roll this out over each row and then cover the paper with straw. It is a really huge, back breaking job. BUT, it saves me hours and hours of hoeing and weeding all summer. It does not completely stop the weeds and Johnson grass from pushing their way through the paper and straw, but it certainly limits it. And because the straw absorbs the rain and dew, the ground is always moist underneath so any weeds that do make it through are just a quick pull to remove. I love that the straw and paper is just naturally absorbed back into the soil by summer's end. It isn't a plastic product that has to be removed and disposed of, or a product that adds things to the soil that are undesirable. The draw back is that in order for the soil to break down the straw it uses nitrogen to do that, so nitrogen must be added back to the soil in the spring, which we do in the form of cow manure. One of the advantages, besides the weed control, is that since the straw absorbs any moisture, the plants always have moisture underneath the straw. And the ground is full of earth worms! I plant the seeds by just poking through the straw, paper and into the soil. It is actually quite easy. The above picture was back in the middles of May when things were just starting to take hold. I love that the straw gives the garden a very neat and tidy look. This is my garden today, about 8 weeks since laying the straw. You can see that I keep a center walkway that I don't lay straw down, the grass grows and I just use my wonderful string trimmer (weed whacker!) and keep it mowed down. You can see bits of grass and weeds coming through the straw; about once a week I spend an hour or so going through and pulling them out. I'm super excited about our corn. It is heirloom, non GMO corn and it is gorgeous. Some of it must be over eight feet tall. The first ears are starting to form. I'm a little worried about the raccoons getting to the corn. We think we will put our dog Belle in the garden at night when the ears are getting ready to pick! She'll keep those raccoons away! My tomato plants seems a little delayed but they are starting to produce now. And tonight I made my first 10 pints of pickles. 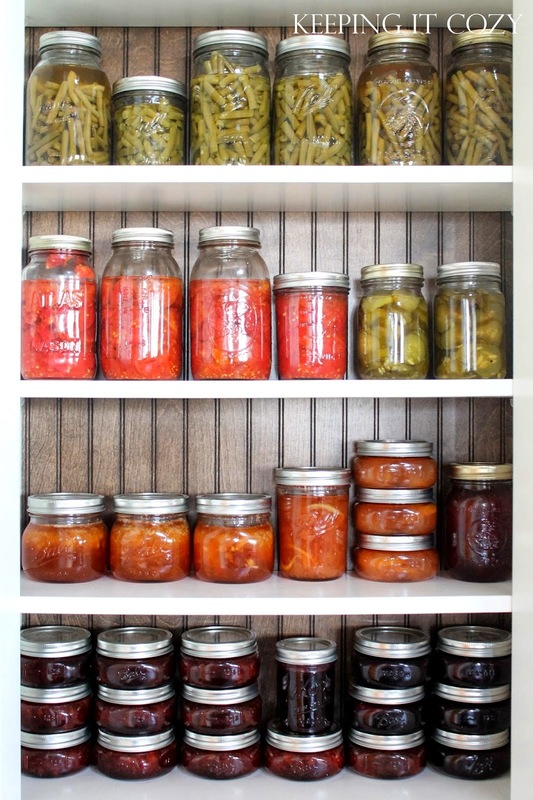 I have a feeling that my pantry will be full of pickles at the end of the summer! And here it is... the end of June already. I realized that I started my Monthly Moos Posts exactly a year ago this month and I'm a little sad to look back at how quickly the time has gone. I hope your summer is hot and wonderful like ours is. I am very happy to admit that I have completely adapted to the humidity and I honestly love it! I've had quite a few people ask if I miss the dry heat of the desert where we were from out West and the answer is NO. I do not miss it one bit. I just love the rain, the dew every morning, the green grass... and yes, the cucumbers! 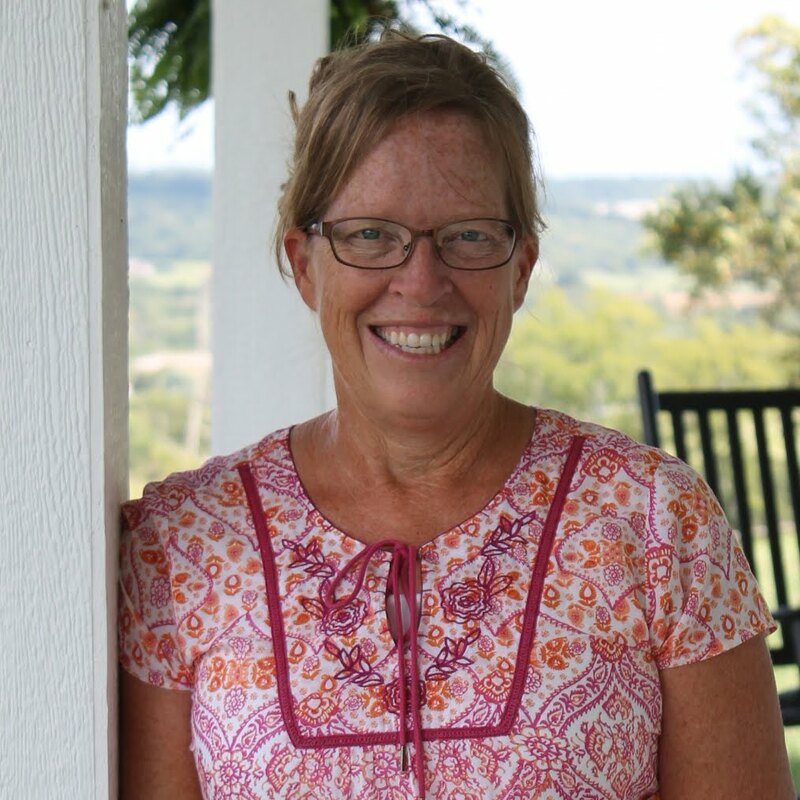 Hopping over to the FarmGirl Blog Hop - join me! Eldon and I just got home from a wonderful vacation on the Gulf Coast. We didn't want to do the whole "stay on the beach" touristy thing so we did some looking at vacation cottages online and found one that sounded promising. It was a darling little cottage on the Bon Secour River in Alabama which runs into the Bon Secour Bay in the Gulf of Mexico. The cottage was located almost at the mouth of the Bay so it was definitely an ocean feel - a bit salty water, all the ocean birds and dolphins running up the river! Probably the biggest draw for us was that it came with its own pier out into the water! Our cottage was located between two large seafood stores - Billy's and Aguila's. So, that meant that every morning we sat and watched the shrimp boats come rolling in with their catch. And then we watched them roll out in the evenings. The shrimp boats are such neat boats. Eldon did a lot of fishing off the dock. We did a lot of crabbing off the dock. The cottage we rented was absolutely perfect. It looks small from the outside, but it was plenty roomy inside and so comfy. There was no back porch and not much of a front porch.... but not needed anyway because the pier was our porch! The living room was very roomy. I loved the little kitchen and it had everything we needed for the week. We saved money by cooking breakfast and supper and eating out for lunch! I didn't take any pictures of the bedrooms but there were two bedrooms downstairs and an open loft with four twin beds upstairs. The little community of cottages (there are seven of them) share the pier. But the whole week we were there using the pier every morning and evening we only had to "share" it once. And that was lovely as the elderly neighbor lady was so very sweet. The little neighborhood was extremely quiet as several of the cottages are vacation homes and were empty at the time we were there. You can check out this vacation cottage here. If you are looking for an affordable vacation cottage just a very short drive to the Gulf Shores area, this is it! We had a lovely week. I'll be sharing more about the area, a few things we did, places we went, and food we ate. So check back in a few days for more on our vacation! 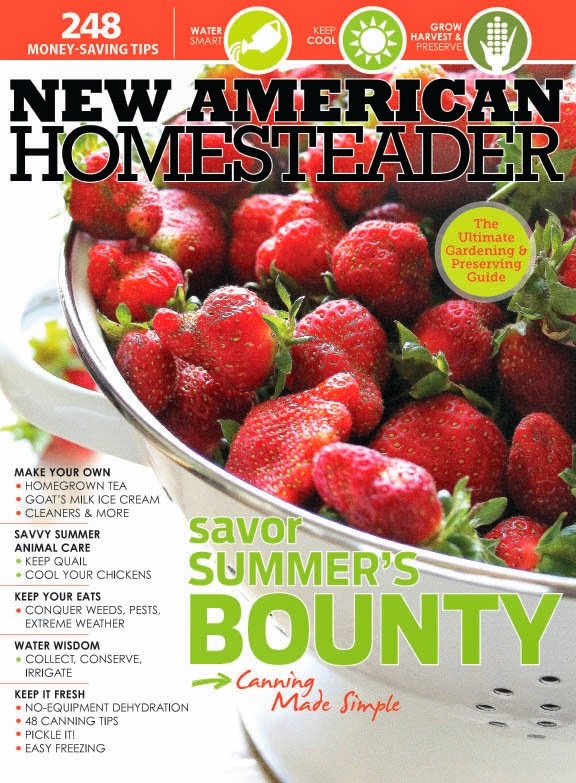 A super exciting thing happened to me and that was that I got to work with my daughter on a segment for the magazine, New American Homesteader. She was asked to contribute in the Canning and Preserving section and it ended up being a package deal, which was really fun for me. It was sort of a dreamlike experience. I couldn't believe it when we were saying things like, "The magazine gave us a deadline for the photos" or "We need to sit down together and proof everything we've written before submitting it to the magazine"! As usual, there are some really great articles in this magazine. It doesn't hit news-stands until tomorrow but I've had the privilege of having my copy for a couple weeks now. I've read it from cover to cover and loved all of it. You will too. My daughter, Andrea, and I. So, how about a give-away? I've got magazines to give to two lucky winners. If you don't win, I hope you will purchase the magazine!